You can change the due date for all the invoices created by your club or for a certain set of invoices. 2. Change the "Due date" field to match the number of days you want. 3. Scroll down and click "Save"
2. Click on "More options"
3. Set the payment due date for this set of invoices and click"Apply". If you wish to change the date displayed on the invoice, keep in mind that it should be in the month you are billing the players for. 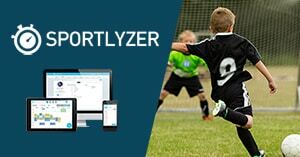 Otherwise, the payment data on Sportlyzer will be displayed in the wrong period.